Home » Diseases » What is Diabetes Mellitus? and how to avoid? What is Diabetes Mellitus? and how to avoid? Diabetes Mellitus (DM) is a chronic, progressive disease characterized by elevated levels of blood glucose that results from either deficiency in insulin production or resistance to it's action or both. 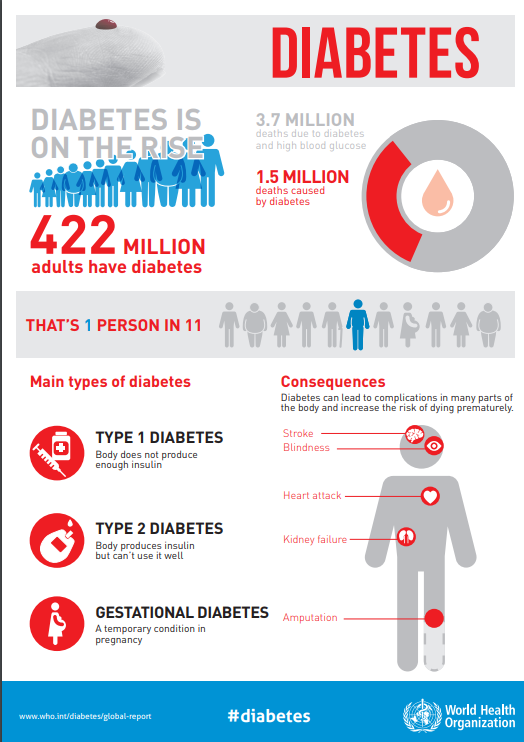 Diabetes is an important cause of death and disability worldwide. 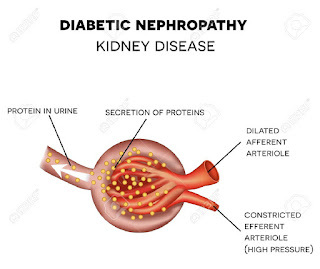 It's a leading cause of blindness(Diabetic retinopathy) ,renal failure (nephropathy) & neuropathy. -Type I diabetes mellitus (insulin-dependent diabetes mellitus): also called juvenile type as it occurs in young age.In this condition the pancreas is incapable to produce insulin and the patient takes insulin parenterally. 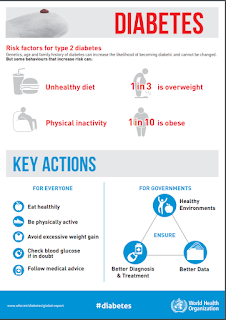 -Obesity : ↑ in weight is associated with increased risk of having diabetes.It's important to mention that a build-up of fat around the waist is linked to insulin resistance and consequently type II DM. -Age : type II occurs more common in old people. 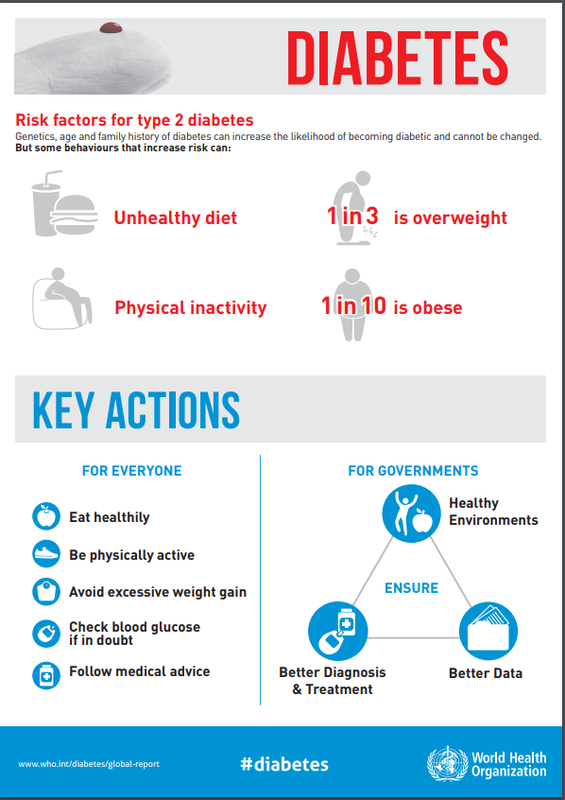 -Physical inactivity & sedentary life is also a risk factor for diabetes. -Stress: studies found that people experienced stress at work were twice as likely to develop diabetes. -Frequent and excessive urination (polyuria). complications of diabetes are divided into Macrovasclar(affecting big vessels) & Microvascular(affecting small blood vessels) complications. The most common cause of death in Diabetics.People with diabetes have twice the average risk of death from heart diseases and 1.5-4 times the average risk of strokes. 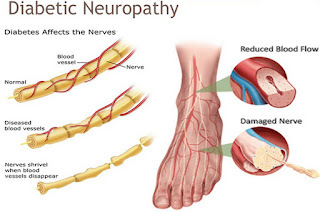 -Nerves complications (Neuropathy) → neuronal affection in diabetics increases with the increase in the period the patient lived with the disease.It causes pain, weakness and loss of sensation (which increases the risk of foot injury , infection and lower limb amputation). 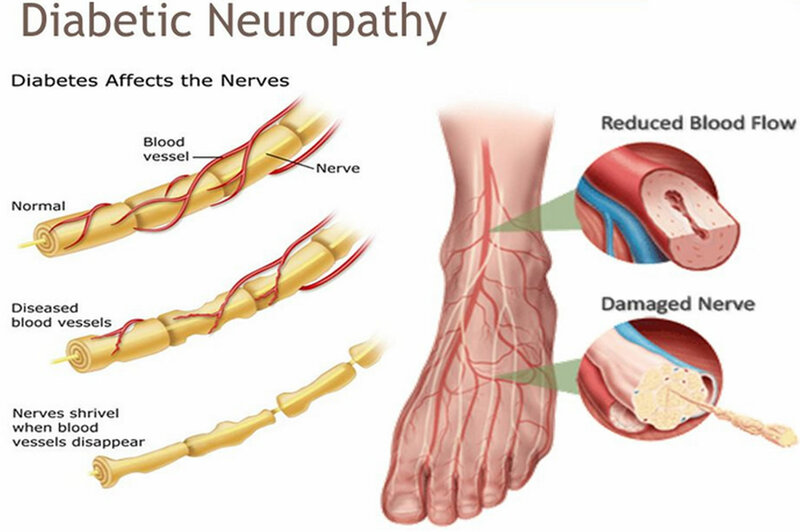 Neuropathies also can occur in the autonomic nerves resulting in sexual dysfunction, urinary and gastrointestinal problems. 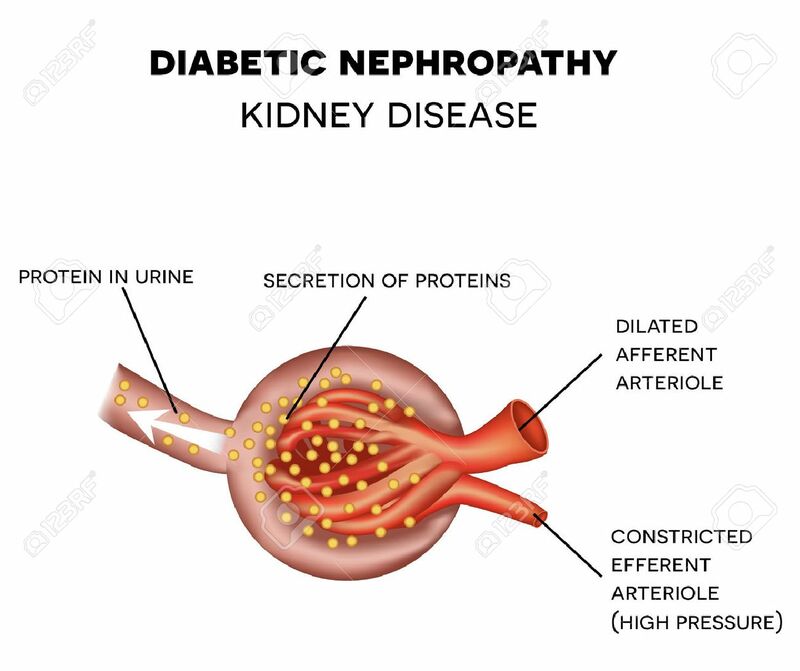 -Kidneys (Nephropathy) →It affects 30% of people with diabetes.The glomeruli of the kidney are damaged resulting into loss of protein (mainly albumin) in urine (albuminuria). -Eyes ( Retinopathy): diabetes also affects the retina causing damage to it's small blood vessels causing exudates, haemorrhages ,microaneurysms & retinal detachement resulting into diminution of vision.The condition may finally end in blindness. -Be physically active & ensure regular daily exercises. -Check blood glucose if in doubt.